Designers in European territories can grab CC for less! If you live in Europe, you're a lucky bunch as over the past couple of weeks, Adobe has been offering huge discounts on a subscription to its Creative Cloud services. But if you've been holding off signing up for whatever reason, now's the time to take action as this offer is only on the table for another couple of days. Until the 19 April 2019, the majority of European territories can enjoy a whopping 40% discount, while artists in Switzerland will save 39%. Meanwhile in the UK, users can grab 20% off, with the price dropping from £49.94 down to £39.95. The full list of countries that can save include: UK, South Africa, Austria, Belgium, Bulgaria, Switzerland, CIS, Cyprus, Czech Republic, Germany, Denmark, Estonia, Spain, Finland, France, Greece, Hungary, Ireland, Israel, Italy, Lithuania, Luxembourg, Latvia, MENA, Malta, Netherlands, Norway, Poland, Portugal, Romania, Russia, Sweden, Slovenia, Slovakia, Turkey and Ukraine. These offers are valid in all territories until 19 April, which is just two days away now so don't delay! You might not be saving as much as other territories, but those in the UK can grab a welcome 20% discount on Adobe Creative Cloud for a limited time only. With this generous offer, users get to save money on their favourite creative apps when they sign up for just £39.95 a month. Digital artists in Switzerland get to cash-in when they sign up to Adobe Creative Cloud by saving a hefty 39% on the regular price. 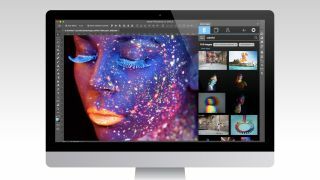 With Adobe cutting off a big chunk of the price tag of its Creative Cloud services, users can get creative for much less. Here's the big one, creators in European territories (excluding UK and Switzerland) get to save a whopping 40% on the regular price of Adobe Creative Cloud. If you're in these territories, simply sign up before 19 April to claim this amazing saving. These deals expire on Friday 19 April 2019 at 11.59PM CET.